Injection moulders producing very small parts are faced with the unique challenge of being able to dry just the right amount of material for their process. Operating in extremely critical production conditions, these smaller throughputs can present considerable problems. Consequently, it is important to scale the drying to the size of the moulding machine. The new LUXOR CA S range of dryers fits perfectly into this concept. It is also suited for cleanroom applications. The LUXOR CA S range with hopper volumes of 0.75 / 1.5 / 3 and 5 litres has been conceived especially for the production of small and micro parts. The range is comprised of a modular line of correctly sized drying equipment helping moulders to meet the small tolerances without waste or contamination. On account of their light and compact construction, the dryers can be simply mounted on all processing machines, also when space is highly restricted. The LUXOR CA S compressed air dryers take factory supplied compressed air which is expanded to atmospheric pressure. This produces dry process air – with a very low dew point – which is then heated to the required drying temperature. No desiccant is necessary making the dryer prefect for clean room conditions. All models are equipped with a thermostat and low air flow safety switch to prevent overheating of the material in the event of insufficient air throughput. Due to the wide temperature range (30 – 180°C) the LUXOR CA S micro dryers can be used for many different materials. A pre-filter cleans the compressed air. This feature prevents contamination of high-quality materials and provides optimum drying conditions. 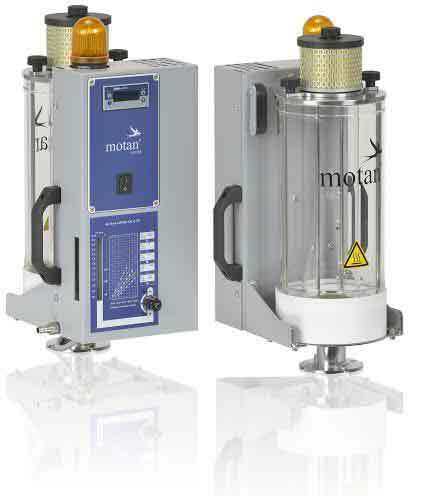 The complete drying bin body is made from a single piece of special glass – ideal for contamination critical process applications. An additional benefit of the all glass construction is its transparency. The operator can always see the actual status of material in the bin. Constant and stable conditions in the entire drying hopper are an essential prerequisite. Therefore, the complete drying hopper right down to the material discharge is heat insulated because of a double glass wall construction. This design is an important energy saving advantage. The expertly designed air diffuser provides uniform distribution of the dry air ensuring that the material – even at the material bin outlet – is kept at a constant temperature and in the required dry condition. The motan group, with its headquarters in Konstanz on Lake Constance in Germany, was founded in 1947. As the leading provider of sustainable materials handling, the company is active in injection moulding, blow moulding, extrusion and compounding, in-line systems and chemicals. Part of the application-orientated product spectrum are innovative modular systems solutions for storage, drying, and crystallisation, conveying, dosing and mixing for the plastics manufacturing and processing industries. Production takes place at various locations in Germany, India and China. motan distributes its products and systems solutions via its regional motan-colortronic centers. Currently, more than 500 employees contribute to an annual turnover of approximately 100 million Euros. 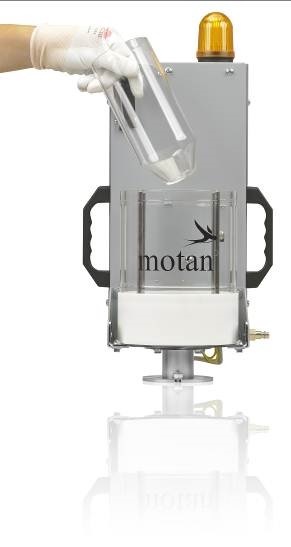 As a result of its network and its many years of experience, motan offers its customers what they actually require: solutions with genuine added value.